Gently cleans and conditions in one simple step. 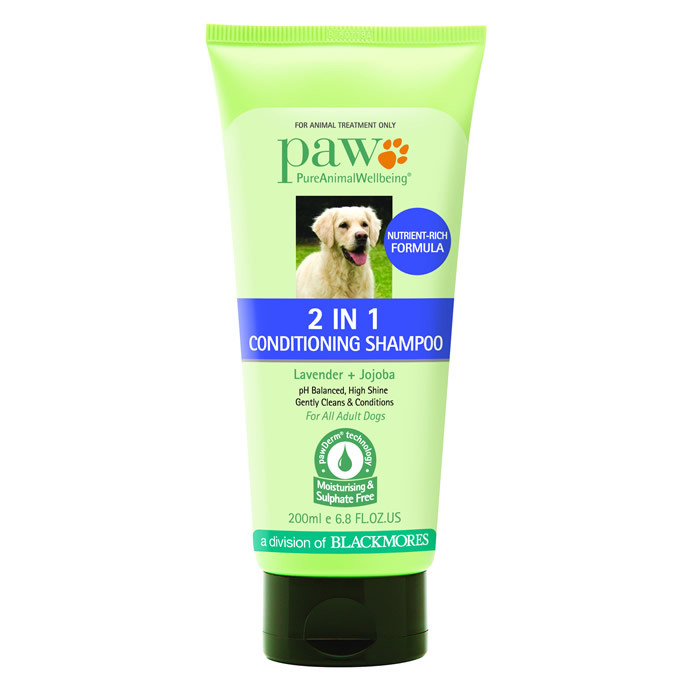 Pure Animal Wellbeing's 2 in 1 Conditioning Shampoo is ideal for adult dogs who have regular dog shampoos. 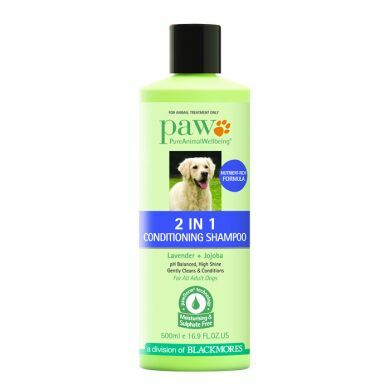 It gives the dog a wonderful clean and smooth silky coat, as well as maintaining coat and skin health using natural ingredients to clean and condition. PAW 2 in 1 Conditioning Shampoo effectively cleans and conditions the coat and skin for convenient regular dog grooming. With sulphate free cleansers and rich conditioning ingredients it gently cleans and conditions in one simple step.